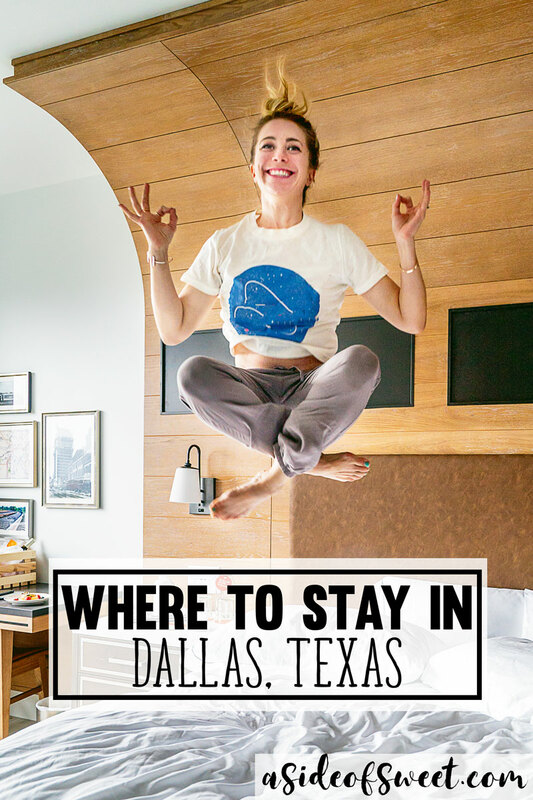 Canopy by Hilton Dallas Uptown is the hottest hotel in Dallas! 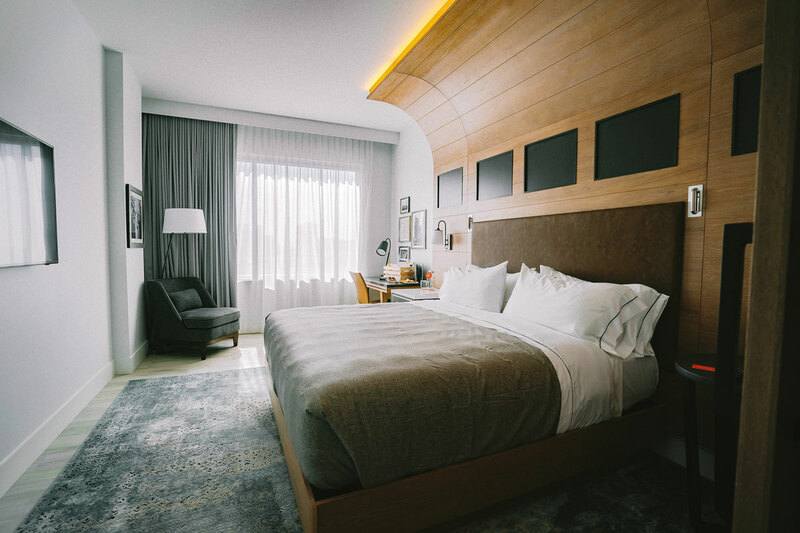 We loved everything from cool decor to the comfy beds to the amazing breakfast buffet. 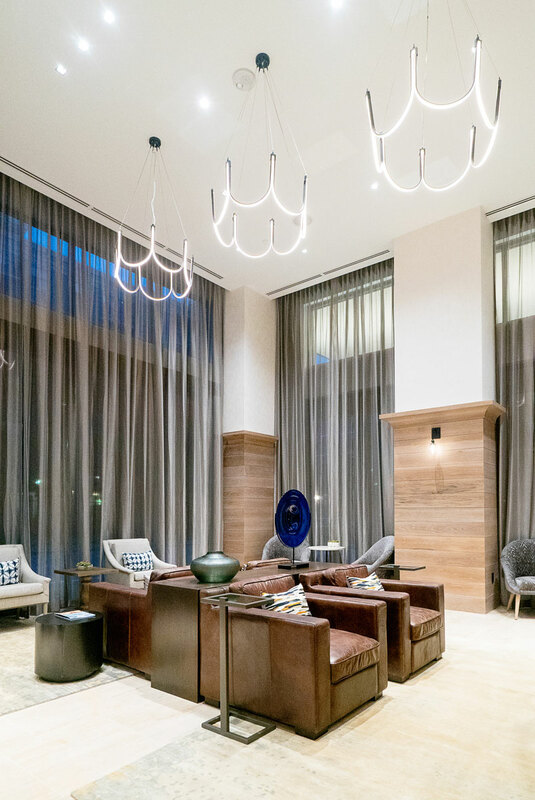 I had the pleasure of jetting away to Dallas, Texas last weekend to check out the new Canopy by Hilton in Uptown Dallas. 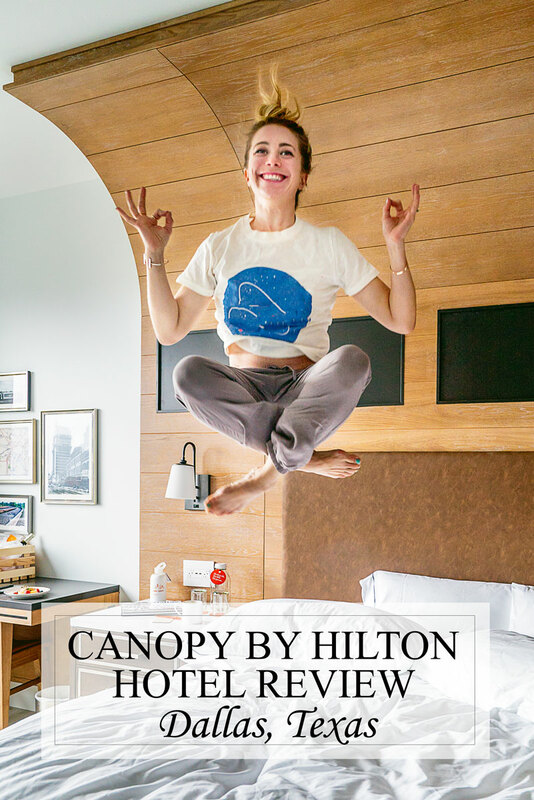 Canopy is a new line of hotels by Hilton. 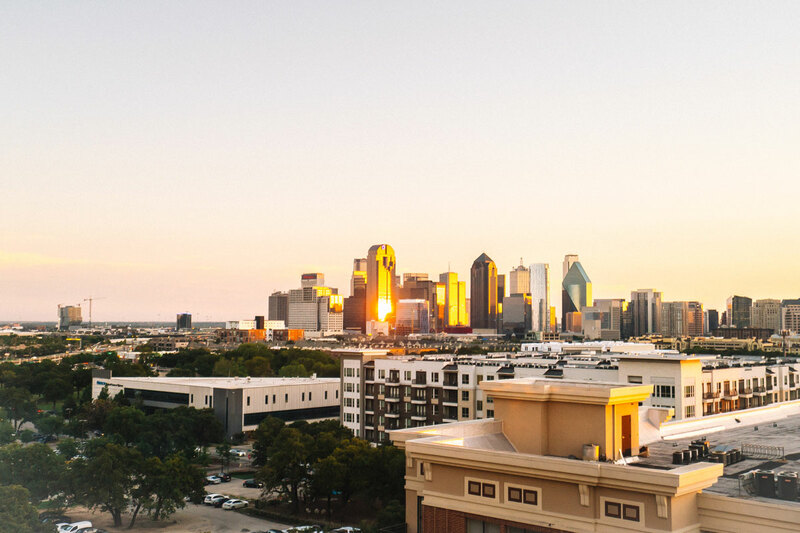 Dallas is one of the first properties that they’ve opened. This is my first time visiting a Canopy property and I was so impressed! 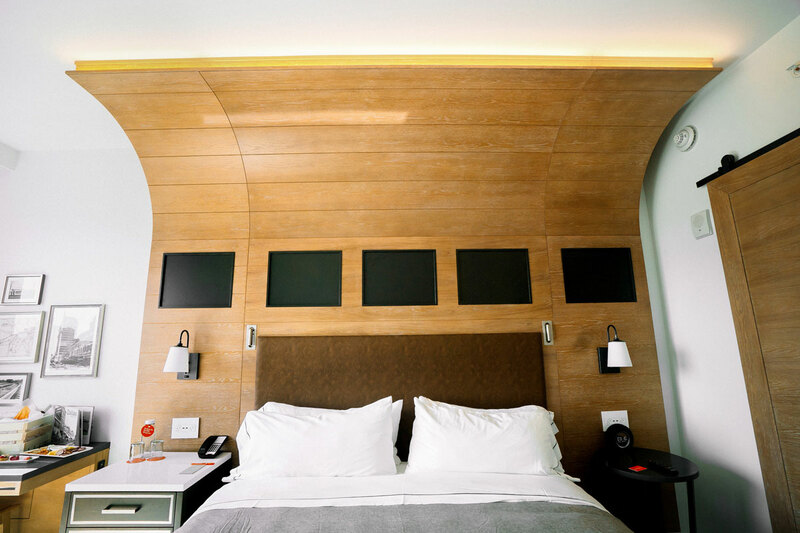 The hotel has the quality and high standards you would expect for a Hilton hotel, but with a modern boutique feel. 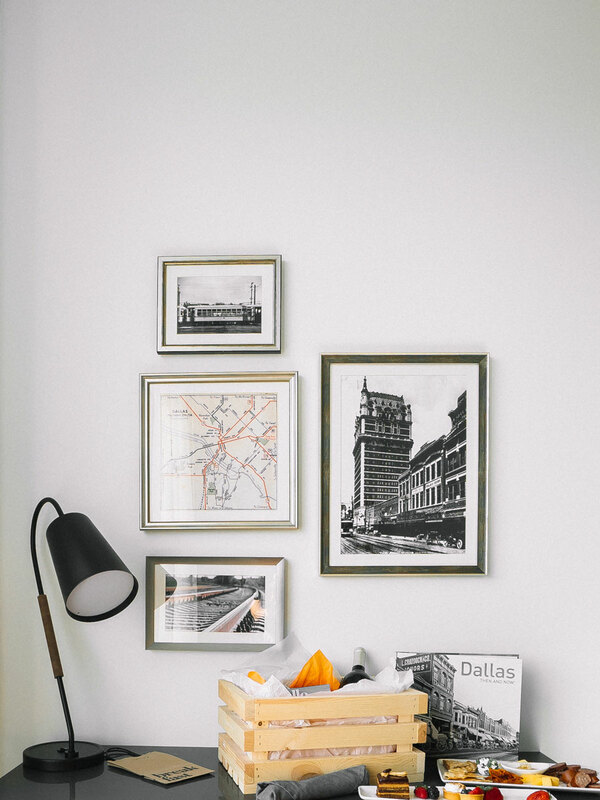 The hotel decor was trendy but comfortable, and inspired by the architecture and history of the Uptown neighborhood. 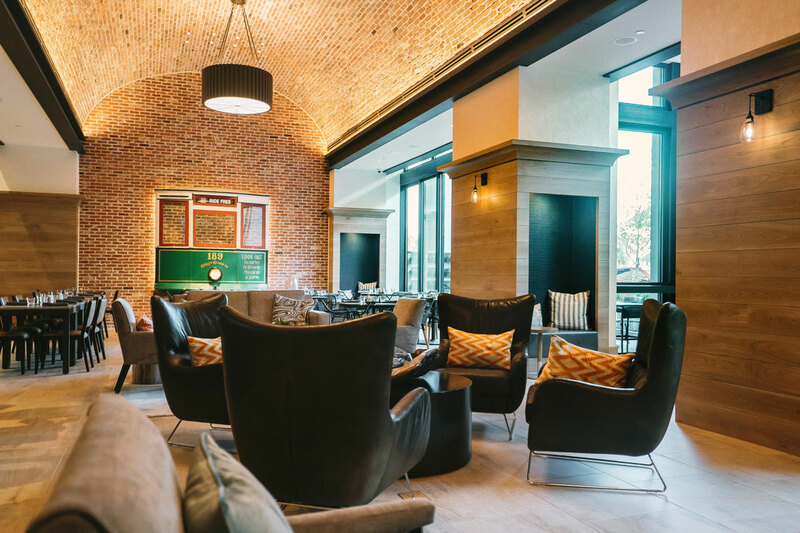 The lobby, or Canopy Central, at the hotel is modeled after Dallas’s famous trolleys. 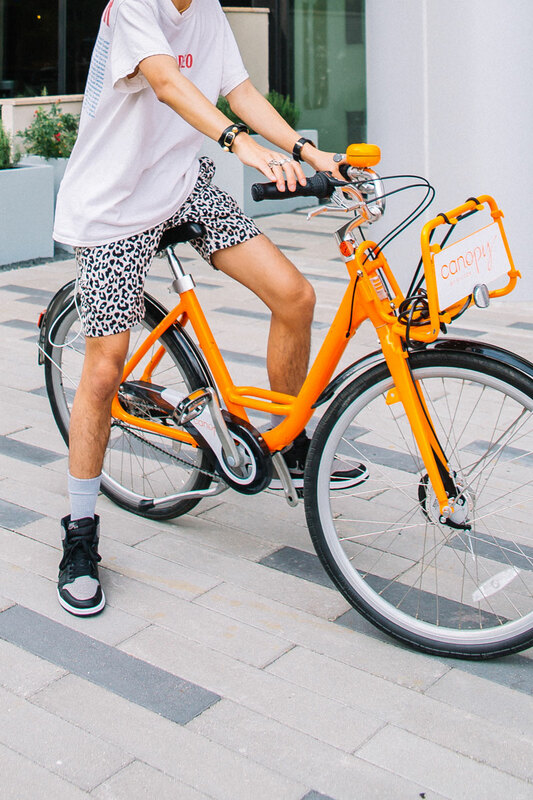 They come every 15 minutes, are free to ride and are a fun way to explore Dallas. The older ones are super cool and really beautifully maintained. I was also impressed by the warmth of the staff and with the way I was greeted everywhere I went in the hotel. The Canopy rooms have subtle trolley vibes and a relaxing neutral color scheme. They have rugs instead of carpet, which I loved. There was lots of natural light and space to work in. The art on the hotel room walls is also specific to Dallas. It was fun to look at old photos of what Dallas was like ages ago. 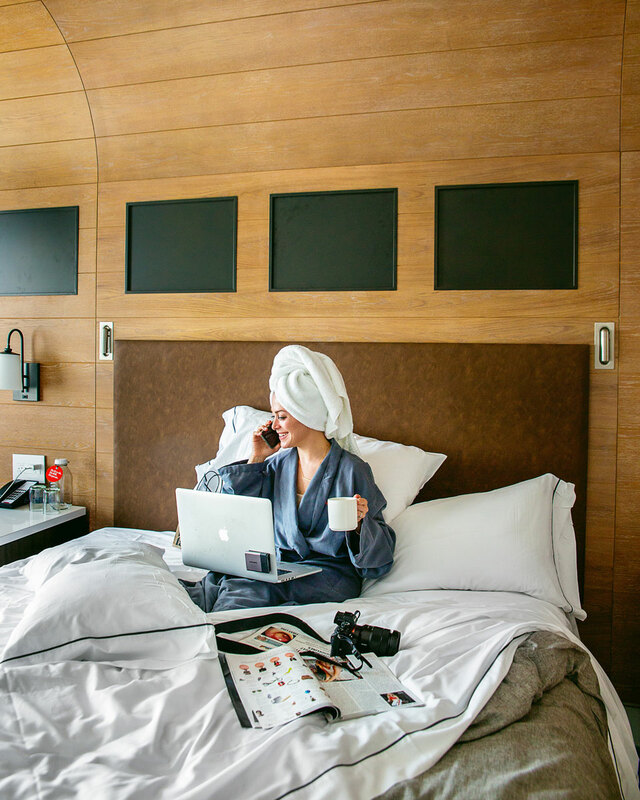 For your morning caffeine fix, the rooms have Nespresso machines (yay!). Instead of bottled water, there are filtered water machines on each floor with a glass bottle you can refill. I loved this idea. We think so much about sustainability and decreasing plastic products in our daily life. Every time I think about plastic waste floating in the ocean and being consumed by wildlife, I feel physically ill.
I’d love to see Canopy, and all hotels, do even more to help the environment. 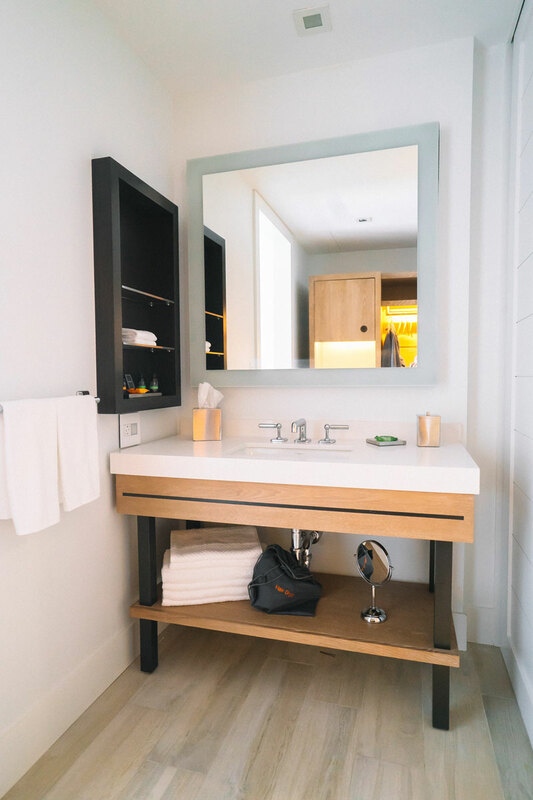 Even small things, like getting rid of small plastic toiletry bottles and using refillable dispensers, add up in a big way. 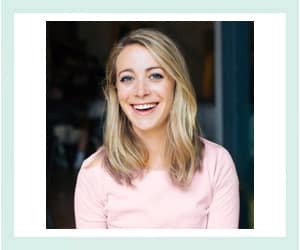 I’d also love to hear about it! I couldn’t find anything on the Canopy website about what they are doing for the environment, so hopefully it’s more than I even realize. 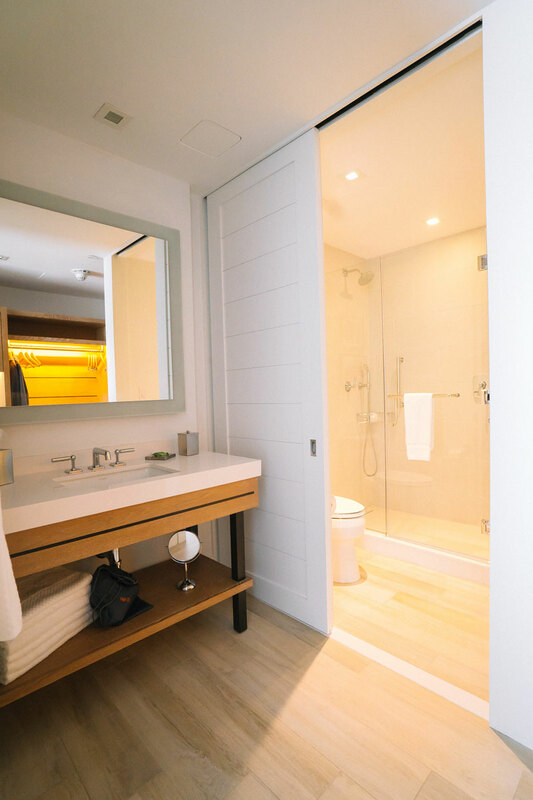 The bathrooms are simple and modern with lots of counter space and good light. If you are sharing a room having the bathroom separate from the sink is always super convenient. 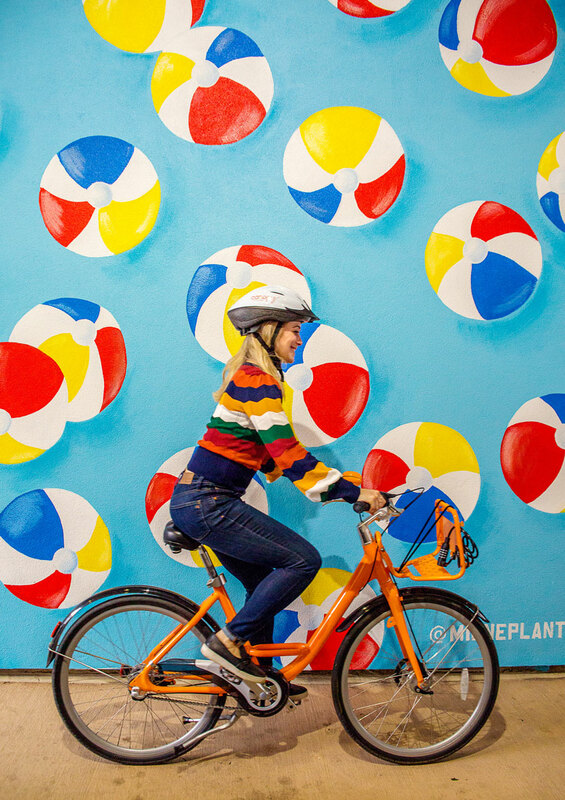 The Dallas Uptown neighborhood is easily explored by bike. 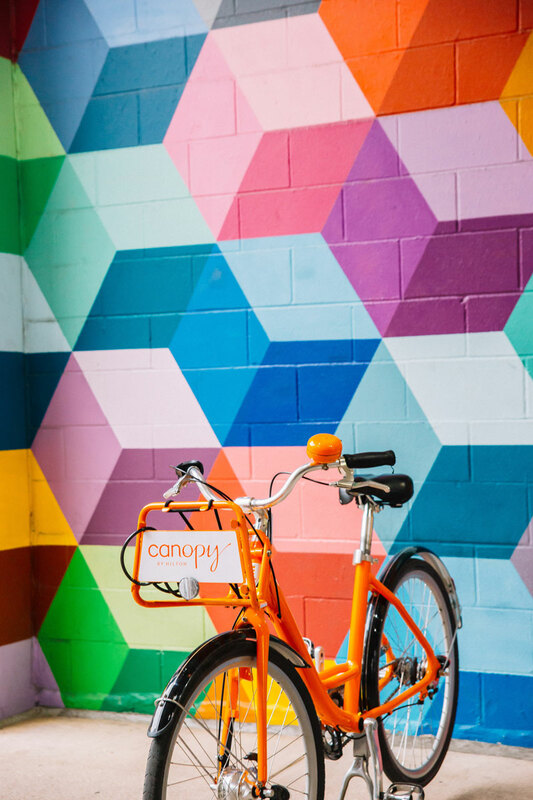 We borrowed the complimentary bikes the hotel has available to explore the nearby murals at West Village and grab macarons at Bisous Bisous. Don’t forget your helmet. Safety first! You know food is the first thing I think about when I travel. I’m always skeptical when I hear a hotel has a breakfast buffet. The food was amazing! The buffet was expansive and filled with fresh fruit, made to order food like breakfast tacos and eggs and lots of carbs. I was in heaven. In a hurry or checking out early? 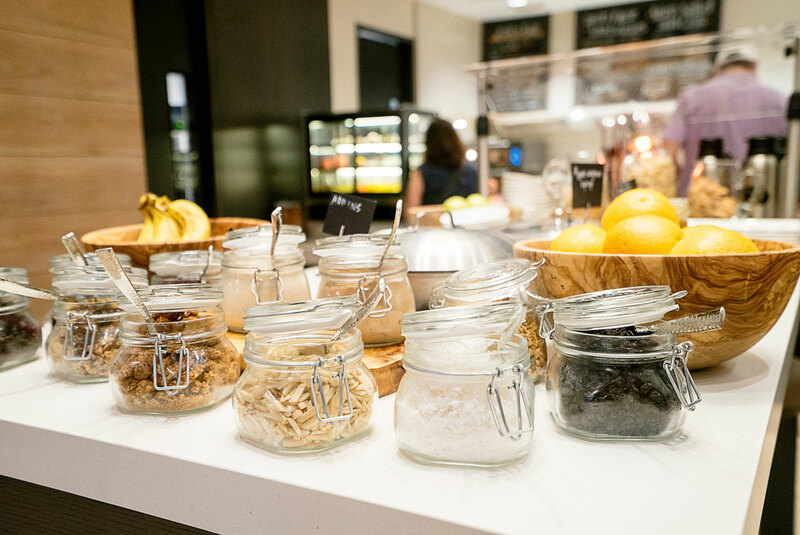 Canopy will leave a bag with breakfast-to-go hanging outside your door in the morning. Even their business center is cool, with lots of windows and high ceilings with comfy chairs. It’s off the lobby so it’s quieter, but you’re not shut away completely. Meet my new friends Mista Boogie Woogie Bon Bon and Dinky. Mista, on the left, is an adorable noisy mouth breather and a total ladies’ man. Dinky is brave enough to pose with a stranger for a photo but afraid of walking on hard floors. He needs to be carried when he is on a non-carpeted surface. They are both super friendly but apparently only tolerate each other. These sadly aren’t my pomeranians (I stole borrowed them from for the photo), but you get the point! Canopy Dallas is dog friendly. 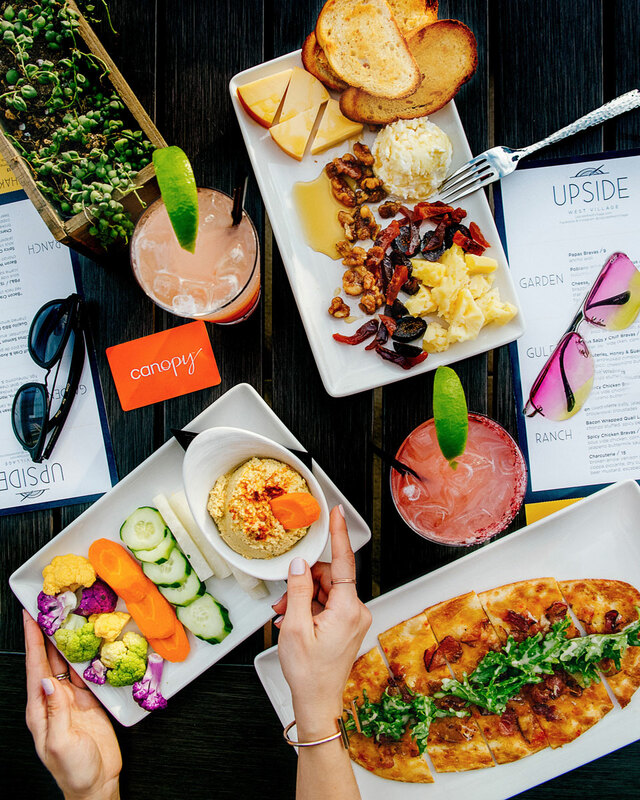 Canopy’s rooftop bar is called Upside. Upside is not just for hotel guests though. 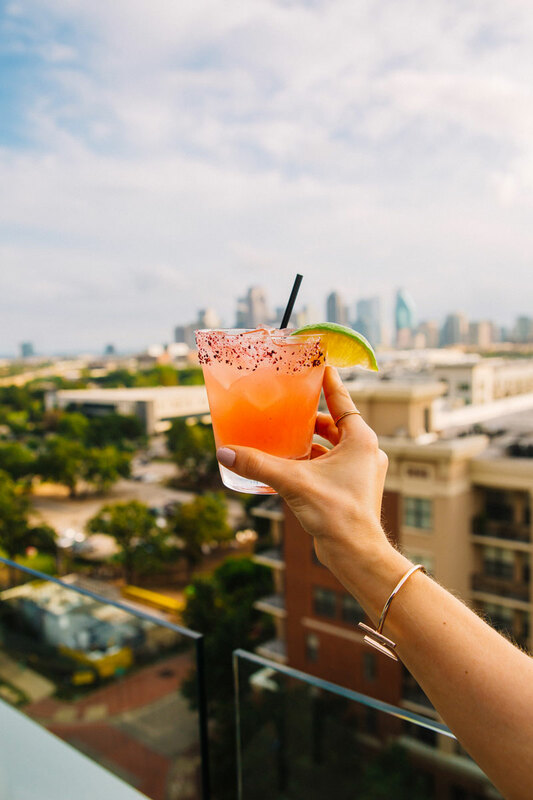 It’s also a favorite spot for locals to hang out too, thanks to the creative drinks and amazing views of the Dallas skyline. It’s a great place to catch sunset! Definitely recommend trying their signature cocktail, the Cruise Control, with tequila, fresh watermelon & lime juices, hibiscus, and a kick from serrano chile. The food menu features light bites like hummus and vegetables, bacon wrapped quail legs and salmon tartare. You have to try the “bacon crack” flat bread which is equal parts sweet, salty and crunchy. YUM.